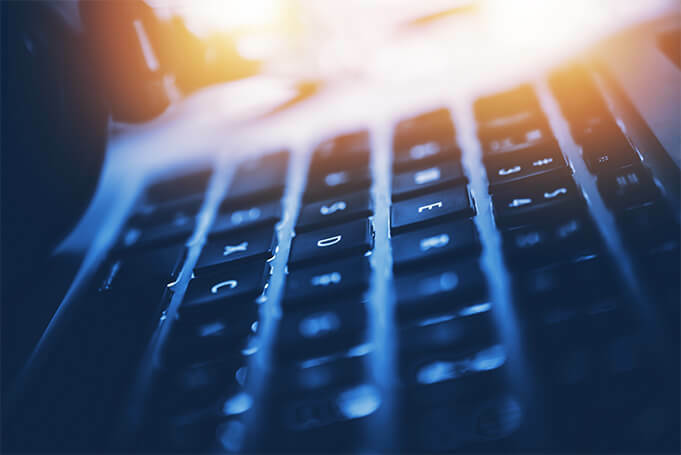 Cost-Effective Connectivity in the New Era of IoT. 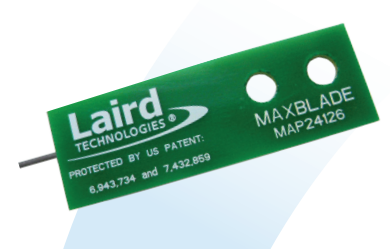 Whether for Wi-Fi/Bluetooth or Multiband/Cellular IoT and M2M applications, the small size and form factor of Laird antennas make them easily concealable within a product’s enclosure, eliminating any negative impact on product aesthetics. Need a custom antenna? 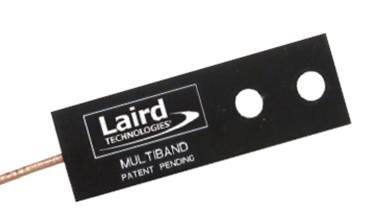 Laird can customize our standard antennas, or create a custom antenna that is designed to your exact specifications and requirements. 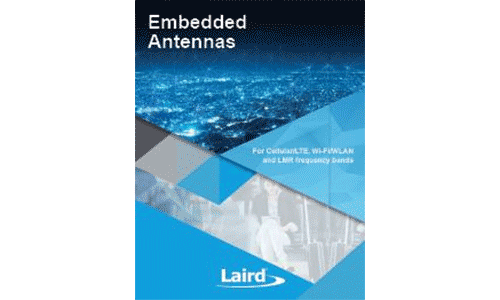 For more information on our collection of Embedded Antennas, please download our embedded brochure. 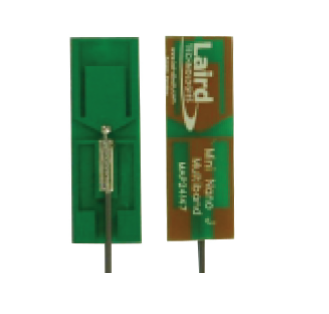 As a long-established industry leader in wireless connectivity, Laird offers a broad embedded antenna portfolio for Wi-Fi and Bluetooth applications. 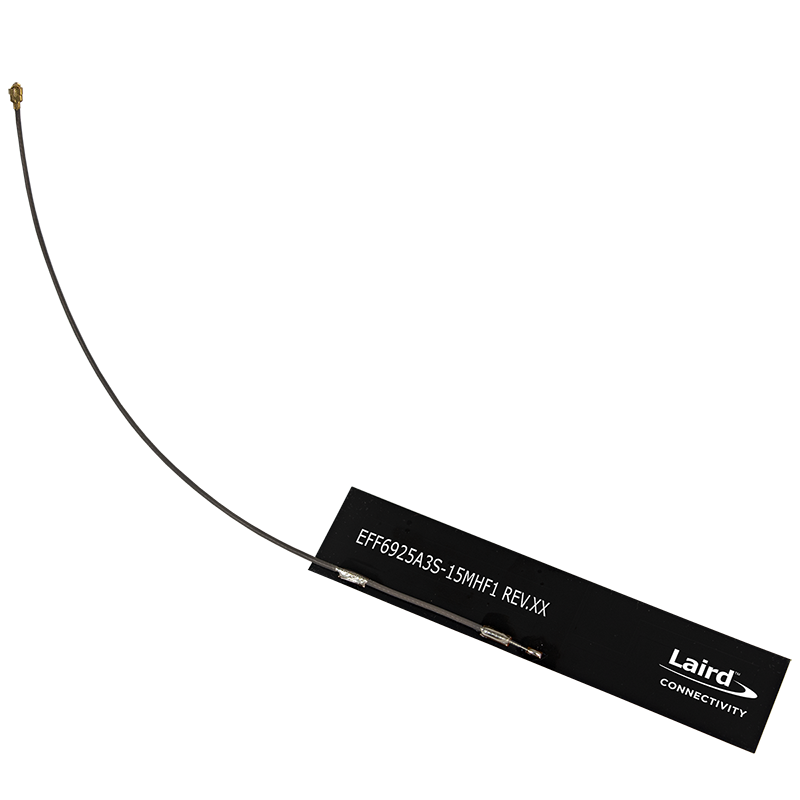 Available in various configurations designed to save space, increase performance, and offer mounting flexibility, Laird's Wi-Fi and Bluetooth antennas are precisely designed to the unique requirements of embedded connectivity. 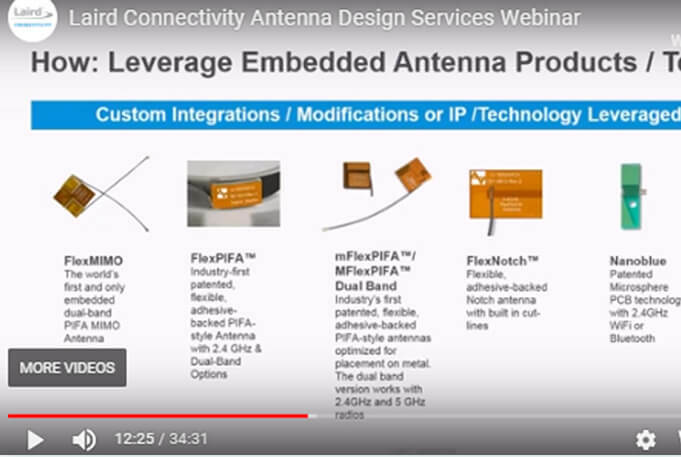 Industry-first, flexible, planar inverted-F antenna for curved surfaces 2.5-3 dBi gain. 2.4 GHz and dual-band 2.4/5.5 GHz. 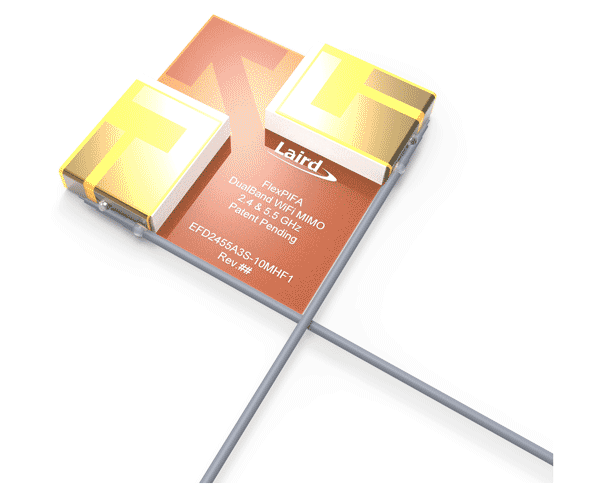 2.4 GHz planar antenna with 2 dBi of Gain and an integrated ground plane for ease of integration. 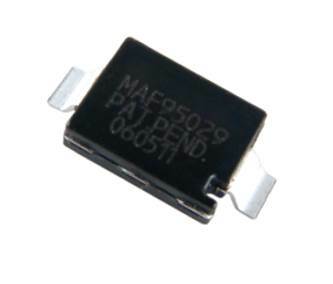 Surface-mount, cost-effective, tiny chip antenna. Linear polarized with >2 dBi gain @2.4-2.5 GHz and >3 dBi gain @ 4.9-6 GHz. 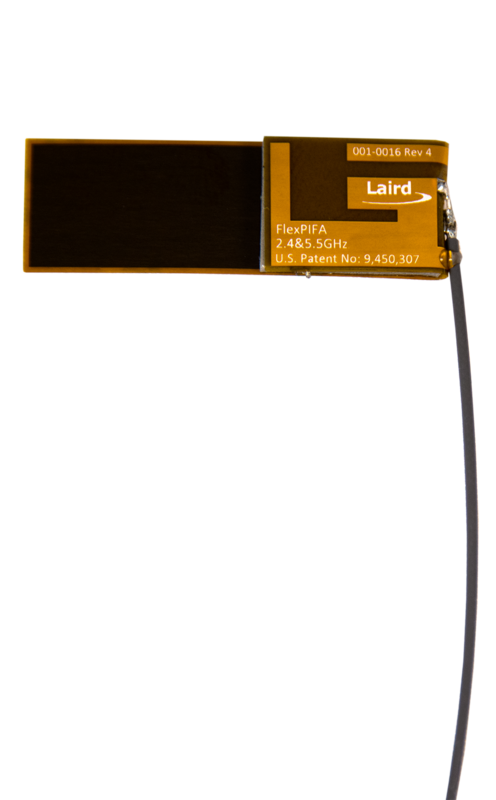 FlexPIFA antenna for metal mounting with minimal detuning. 2.4 GHz and dual-band 2.4/5.5 GHz with 2 dBi of gain. Vertically polarized, omnidirectional planar antenna with 2 dBi gain @2.24-2.5 GHz, 3.9 dBi gain @ 5.15-5.35 GHz, and 4 dBi gain @ 5.6 Ghz. 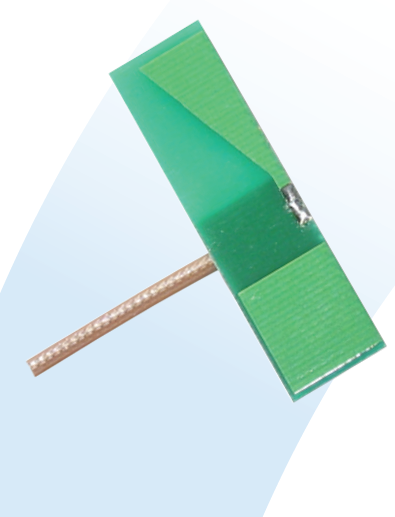 Highly durable, cost-effective, small-scale metal antenna. Vertically polarized, with >3 dBi gain @ 2.4-2.5 GHz and >4 dBi gain @ 4.9-6 GHz. The world's first flexible PIFA antenna for Wi-Fi MIMO applications with gain of 2-3.5 dBi. Flexible, onmidirectional PCB Mini NanoBlade. Vertically polarized, with 2.79 dBi gain @ 2.4 GHz and 3.38 dBi gain @ 5 GHz. 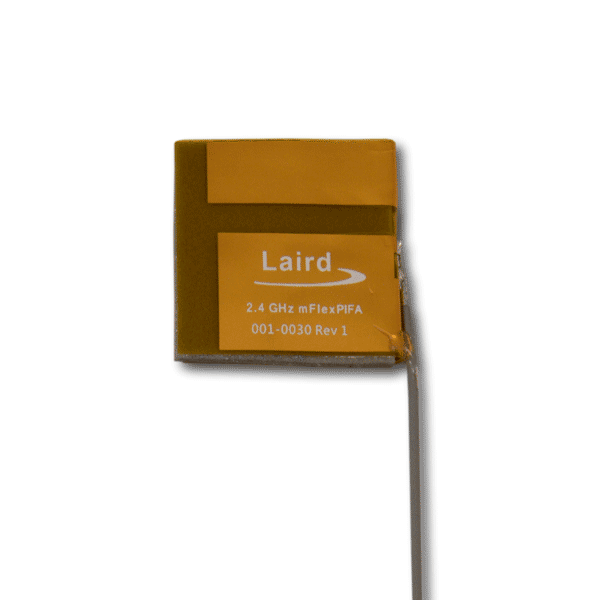 Laird's embedded antennas for IoT and M2M feature a broad range of supported frequencies in a small, durable form factor. 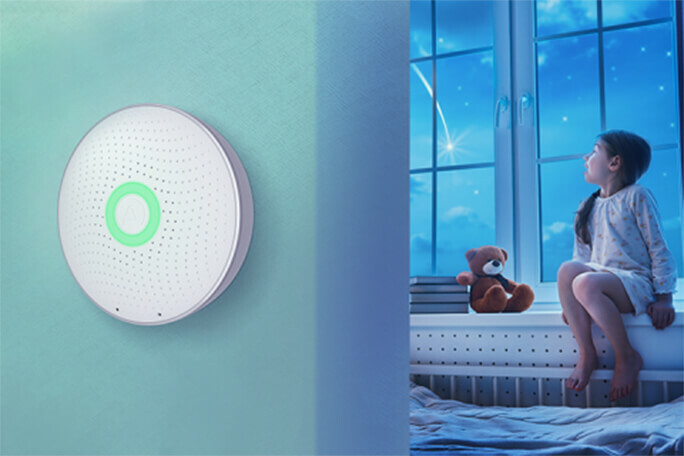 Their PCB design allows them to be mounted inside any non-metallic housing, providing omnidirectional connection across several IoT and M2M bands. Linear polarized 868/900/1800/1900MHz antenna with 2.2 dBi gain @ 900 MHz and 3.8 dBi gain @ 2 GHz. Adds UMTS band support, plus ISM, GSM, DCS, and PCS bands. 2.2 dBi gain @ 900 MHz and 3.8 dBi gain @ 2 GHz. 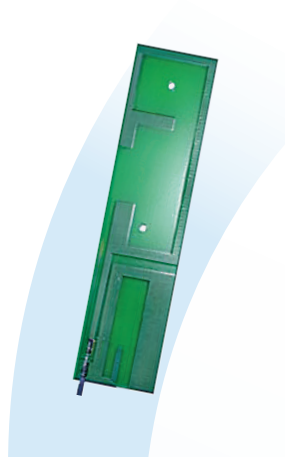 Full-band Revie antenna at only .2mm thickness. 2.2 dBi gain @ 900 MHz and 3.80 dBi gain @ 2 GHz. 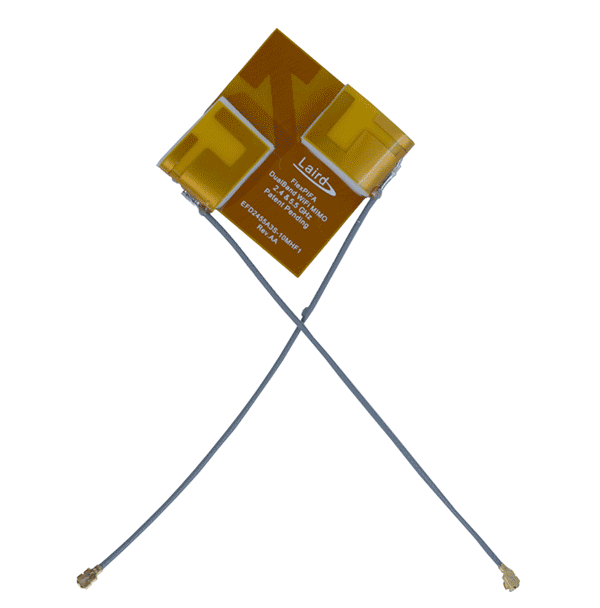 The Revie Flex is a flexible PCB antenna for use in LTE CAT M1 and NB-IoT devices.